The Ontario Society of Professional Engineers (OSPE) today released an announcement on its blog stating that because Ontario has a surplus of power, it is constraining or wasting power that already comes from clean sources. So, WHY has the government issued two contracts for MORE wind power in the Ottawa area, in Nation Township and North Stormont, where neither community supports the idea of becoming power plants? And the power is not needed anyway? Following a detailed analysis of year-end data issued by the Independent Electricity System Operator (IESO) and Ontario Power Generation (OPG), the Ontario Society of Professional Engineers (OSPE) is reporting that in 2016, the province wasted a total of 7.6 terawatt-hours (TWh) of clean electricity – an amount equal to powering more than 760,000 homes for one year, or a value in excess of $1 billion. “This represents a 58 per cent increase in the amount of clean electricity that Ontario wasted in 2015 – 4.8 TWh – all while the province continues to export more than 2 million homes-worth of electricity to neighbouring jurisdictions for a price less than what it cost to produce,” said Paul Acchione, P.Eng., energy expert and former President and Chair of OSPE. OSPE shared these findings with all three major political parties, and will be at Queen’s Park this morning to speak to media regarding the importance of granting professional engineers more independence in the planning and designing of Ontario’s power system. So why is Ontario wasting all this energy? “Curtailment is an industry term that means the power was not needed in Ontario, and could not be exported, so it was dumped. It’s when we tell our dams to let the water spill over top, our nuclear generators to release their steam, and our wind turbines not to turn, even when it’s windy,” said Acchione. In addition to curtailment, surplus hydroelectric, wind, and nuclear generation was exported to adjoining power grids in 2014, 2015, and 2016 at prices much lower than the total cost of production. This occurs because Ontario produces more clean electricity than it can use, so it is forced to sell off surplus energy at a discounted rate. Total exports in 2016 were 21.9 TWh compared to 22.6 TWh in 2015, and a significant portion was clean, zero-emission electricity. Because Ontario is contractually obligated to pay for most of the production costs of curtailed and exported energy, OSPE believes it would be better to find productive uses for the surplus clean electricity to displace fossil fuel consumption in other economic sectors. In the summer of 2016, OSPE submitted an advisory document to the Minister of Energy and all three major political parties detailing 21 actionable recommendations that would deliver efficiencies and savings, including reducing residential and commercial rates by approximately 25 per cent, without the creation of the subsidy and deferral account under the Ontario Fair Hydro Act. OSPE also recommended the establishment of a voluntary interruptible retail electricity market in order to make productive use of Ontario’s excess clean electricity. 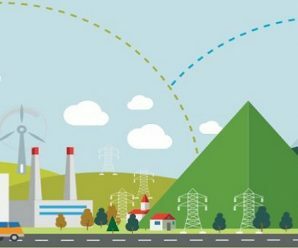 This market would allow Ontario businesses and residents to access surplus clean power at the wholesale market price of less than two cents per kilowatt-hour (KWh), which could displace the use of fossil fuels by using things like dual fuel (gas and electric) water heaters, and by producing emission-free hydrogen fuel. Ontario is currently in the process of finalizing its 2017 Long Term Energy Plan (LTEP), a multi-year guiding document that will direct the province’s investments and operations related to energy. This presents a key opportunity for the government to reduce Ontarians’ hydro bills by making surplus clean electricity available to consumers. “It is imperative that we depoliticize what should be technical judgments regarding energy mix, generation, distribution, pricing and future investments in Ontario,” said Jonathan Hack, P.Eng., President & Chair of OSPE. “We are very concerned that the government does not currently have enough engineers in Ministry staff positions to be able to properly assess the balance between environmental commitments and economic welfare when it comes to energy. OSPE is the voice of the engineering profession in Ontario, representing more than 80,000 professional engineers and 250,000 engineering graduates, interns, and students. OSPE’s 2012 report Wind and the Electrical Grid: Mitigating the Rise in Electricity Rates and Greenhouse Gas Emissions detailed the mounting risk of hydraulic spill, nuclear shutdowns, and periods of negative wholesale electricity prices during severe surplus base load generation. While curtailment will decrease during the nuclear refurbishment program that began in October 2016 and the retirement of the Pickering reactors scheduled to occur from 2022 to 2024, it will rise again when the refurbished reactors return to service, unless the government takes action. OSPE’s Energy Task Force has provided strategic engineering input to Ontario’s Ministry of Energy for more than ten years. The majority of OSPE’s recommendations have been fully or partially implemented over the past five years, saving consumers hundreds of millions of dollars per year. But more can be done if government engages Ontario’s engineers to optimize the use of the province’s clean electrical power system.